Note: Click on the blue/green text for links to articles. Wrinkles and folds in facial muscles cause the overlying skin to wrinkle and fold as well. Smoothing tense muscles into a relaxed state provides a beautiful foundation for the overlying skin. Compression may be used to eliminate muscle tension to relax and smooth muscles allowing the overlying skin to appear smooth as well. I regularly practice myofascial soft tissue release and trigger point therapy to relieve muscle tension or pain in body muscles. For me, it is a terrific, pain eliminating do-it-yourself soft tissue therapy. Trigger point therapy is extremely beneficial and may be used as an effective practice to release muscle tension to promote muscle stretching and to reduce or eliminate pain. The premise is that when a muscle develops an injury: it stops contracting and lengthening properly, circulation decreases, and congested areas form where waste accumulates. These areas may feel like a small or large painful lump in the muscle, or the entire muscle may be tight and ropy. The congested area or trigger point causes the muscle to shorten and typically refers pain to other parts of the body and also pulls on and causes pain in nearby joints. 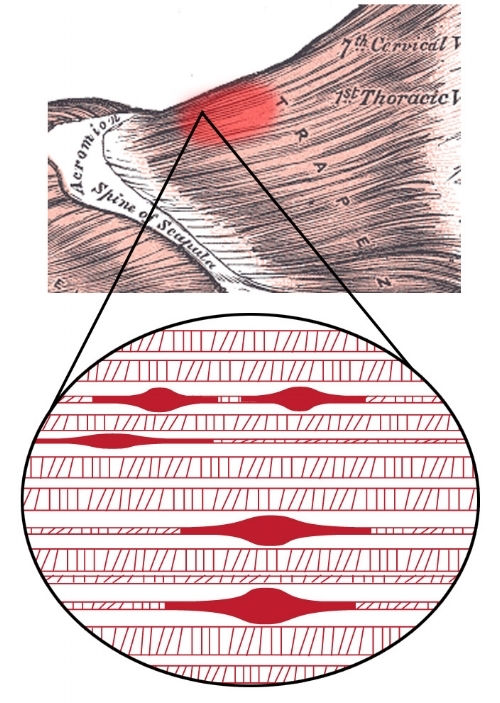 Trigger point therapy uses compression on congested areas in the muscle. During compression, wastes are squeezed out allowing fresh blood, oxygen and nutrients to flow into the area. This provides nourishment and supports normal muscle function. With consistent treatment, congested areas and the associated pain may be greatly reduced or eliminated. For me, trigger point therapy is effective. When a new pain arises, I treat it with trigger point therapy and it disappears. Magic do-it-yourself medicine. Do you hold tension in your forehead? I try not to, but I do. Further, I furrow my brows while reading, writing and when thinking J I noticed and felt the tightness in my forehead and eyebrow muscles and decided to try trigger point therapy. I used a 3-inch compression ball to compress my forehead trigger points. The treatment was a little painful but also a relief when the tight forehead muscles relaxed. After the treatment, my forehead muscle was smooth and the overlying skin was smooth as well. 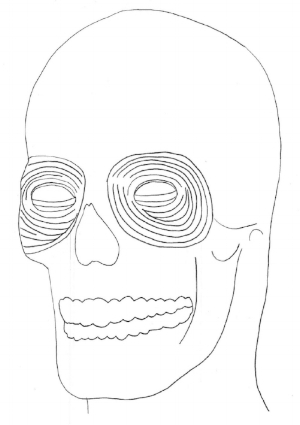 I was curious about this technique and searched for articles on facial muscle compression. I found two interesting references. The Yamuna Ball is used to apply pressure to the face to stimulate bone health and enhance facial muscle stretching. An article by Dr. Jared Edward Reser titled “Compression for the Face: Composure, Aesthetics and Mental Health” discusses methods, Dr. Reser’s personal experience including before and after photos, and instructions on how to use compression to eliminate muscle tension, smooth facial muscles and even change one’s attitude for the better. 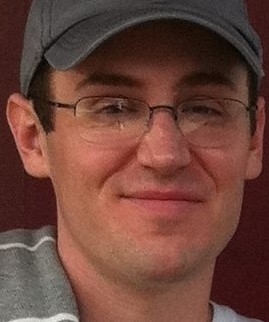 Dr. Reser in 2016 after practicing facial muscle compression. Over time, habitual facial expressions result in depleted and fatigued facial muscles. 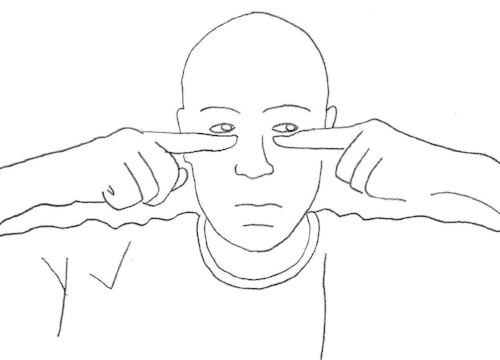 Dr Reser states that “tense muscles around the orbits of the eyes contribute heavily to looking and feeling tired”; in addition he believes that habitual facial expressions and the associated muscle tension may actually cause a “psychological anchor” for a poor mood. 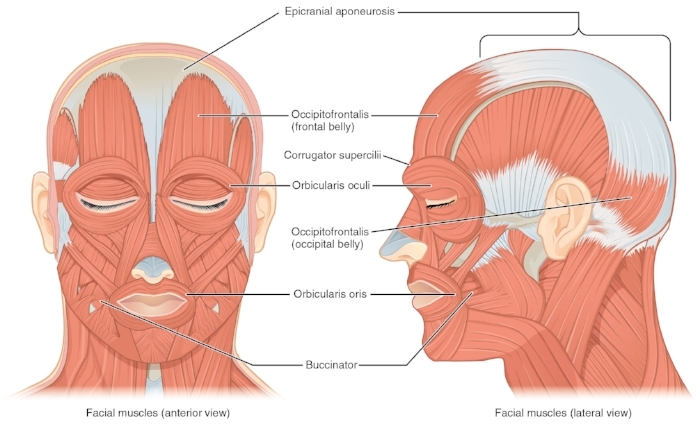 Essentially compression of facial muscles would be completed across the entire face. Dr Reser recommends starting with target zones that identify facial muscles that are typically tight and result in muscle restrictions. Botox may be used to release tension and relax facial muscles. However, Botox paralyzes the muscle, reduces circulation and the availability of nutrients, which inhibits muscle growth. With time the botox treated muscle has decreased tone and reduced biochemical activity and atrophies or shrinks. In comparison, muscle compression costs nothing and results in relaxed, well-nourished and plump muscles with better muscle function and range of use. Compression treatment is not instantaneous but with consistent daily practice over time, all facial muscle tension may be released. 1. Deep tissue compression to reduce facial muscle rigidity. 2. Breathe diaphragmatically while firmly compressing tender muscles to help reverse muscle rigidity. 3. Compress tight facial muscles for a few minutes a day until facial muscles are no longer sore, stiff or ropy. 4. Trigger point therapy will reduce facial tension and promote stronger, more prominent facial muscles with increased range of motion. Try to reduce muscle tension. Notice facial tension and practice wearing a serene relaxed facial expression and a slight smile as you move through your day. It will look nice and science shows that smiling makes you feel great, but that’s another article. I have begun a daily facial muscle compression routine and look forward to reducing facial muscle tension and other potential changes.